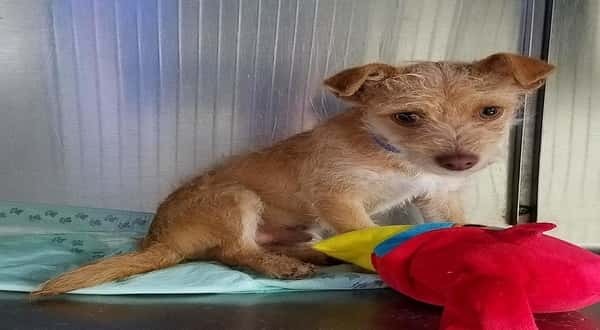 A young 2-month-old pup dumped at a shelter is struggling to come to grips with a new life, that is as confusing, as it is sad. Ollie is trying her hardest to have faith in a system, that has seen so many like him executed, through no fault of their own. 15 Responses to "2 months Ollie clings to his favorite toy as he formally place at euthanized list"
I will pledge $20. If I wanted him, how could I get him to CT? Pledge $20. Pls tag me or pm to pay. I am emailing tonight. If no other rescue closer to them has stepped up, Save Our Strays rescue group based in Simpson County (Mendenhall) MS will help if transport can be arranged. how much would would it be to get him to ohio? He's been rescued! I just called to get him but he's already been rescued they said!! When I adopted my first dog from a local shelter in Toronto Canada, it was like winning the lottery to find a small dog. I have since adopted two more dogs from U.S. high kill shelters. It's sad that this little guy was ever on a list.